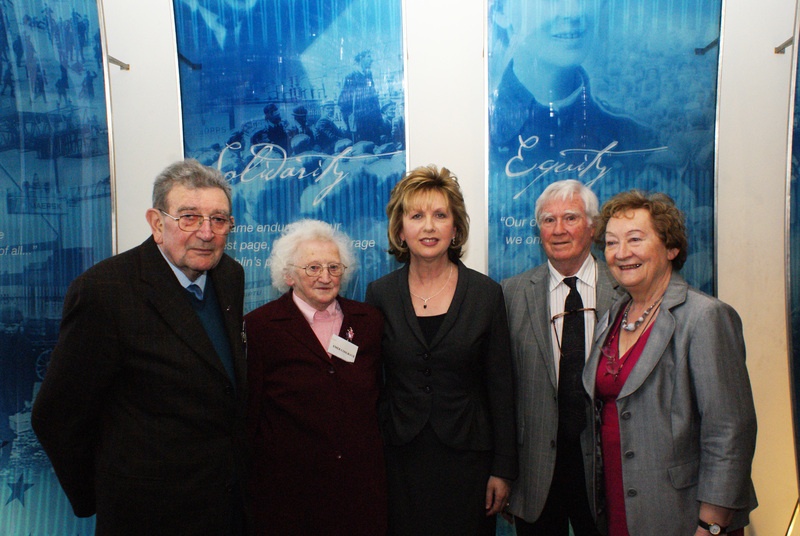 Two members of the first Executive of the Irish Senior Citizens Parliament were honoured at APM 2010. 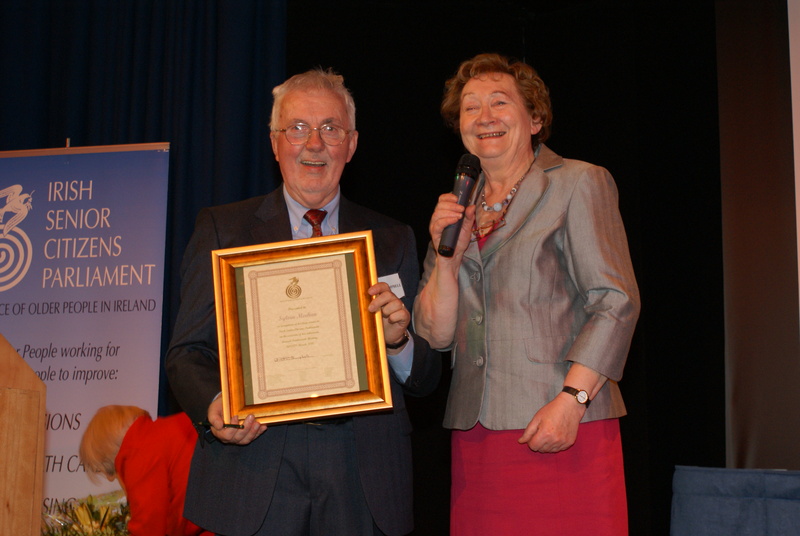 Emer Cosgrave and Jim Eadie (pictured) were thanked for their dedication and vision in helping set up the Parliament in 1996, following on from the European Year of Older People three years earlier and for their service on the ISCP’s first Executive Committee. The following Officers and Executive Committee were elected at the Annual Parliament Meeting to serve for the coming year. 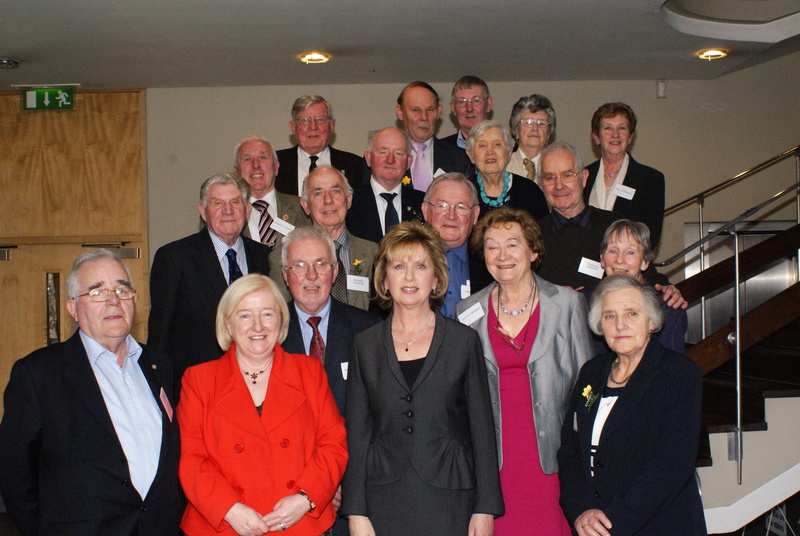 The 14th Annual Parliament Meeting took place in the Liberty Hall Theatre & Conference Centre on 26 and 27 March. The APM was attended by over 240 delegates and observers from all parts of the country. On Friday night delegates attended a dinner and social event. A presentation was made to the outgoing President, Sylvia Meehan (pictured left with incoming President Peter Campbell). She received a standing ovation for her service and a slide show of some of her highlights in the Parliament was shown. 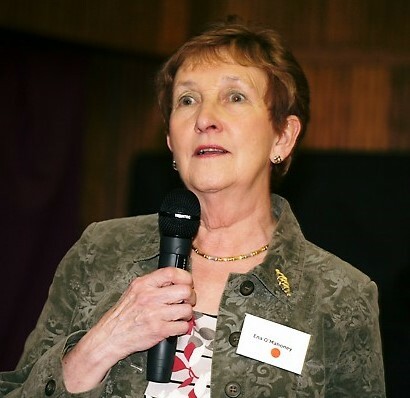 On Saturday the APM heard a “call to arms” from Parliament CEO, Máiréad Hayes and out-going President, Sylvia Meehan. They stressed the need for all member organisations to fight together in the campaigns to achieve the objectives agreed at the APM. They said the ISCP was up for the fight & that victory can be achieved by standing together and using the passion and skill abundant in Older People. Dia dhíbh go léir inniu. Tá an-áthas orm bheith anseo libh ar an ócáid speisialta seo. 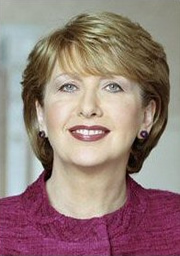 Míle bhuíochas dibh as an gcuireadh agus an fáilte a thug sibh dom. Thanks to each of you for the warm welcome to the Irish Senior Citizens Parliament and to President Sylvia Meehan for inviting me. 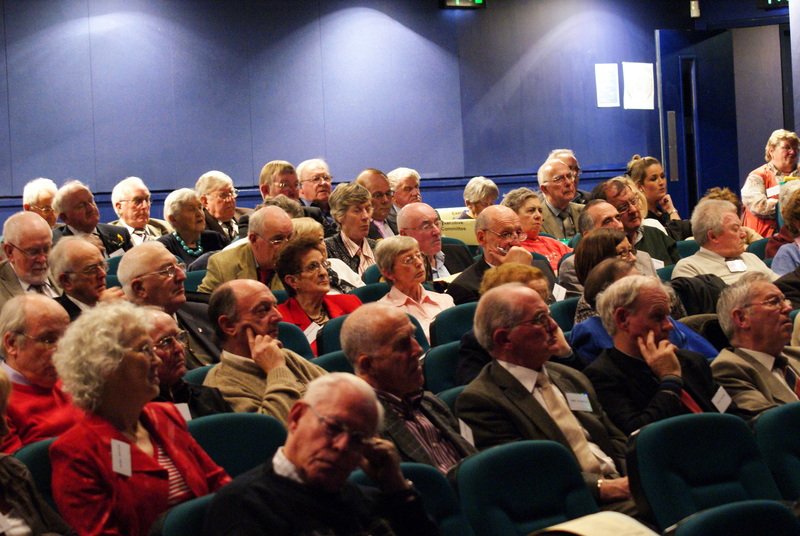 This Parliament is one of a number of Senior Citizens Parliaments across the EU, providing access to political decision-making at the highest level and enhancing the coordinated and collective voice of older people, in particular those at risk of social exclusion. It only exists because you care about the quality of life of our senior citizens and care enough to get involved, get organized and insist on being heard. Thanks to your individual sense of responsibility and collective efforts, this Parliament has become a recognized and necessary centre of gravity right at the forefront of representing the distinctive needs and perspectives of older people at local, national and international levels. I thank you for giving older people such a structured and effective opportunity to engage actively on the many issues that affect your day-to-day lives. They say that with age comes wisdom. A lot of other things come along too, things that can change a person’s context and priorities considerably. Among the images I have from my teenage days is the memory of the rehabilitation of a small local park into which benches were specially put for the first time for seniors. It was a kindly well-intentioned thought but it carried a subliminal message that those of advancing years were expected to be sedentary and to be spectators. A more recent image points up the changed expectations and ambitions of Ireland’s seniors – that is the opening of the first Tone Zone, a public outdoor gym for seniors in Dunshaughlin, thanks to Meath County Council’s Tom Dowling and the redoubtable Mary Nally. That good idea has caught on all over Ireland so strongly that the equipment once manufactured in China is now manufactured here. The “grey pound/euro” and “grey ambition” are showcasing their collective power and their intention to use their lives to the full in new and imaginative ways that enhance its quality and its opportunities. 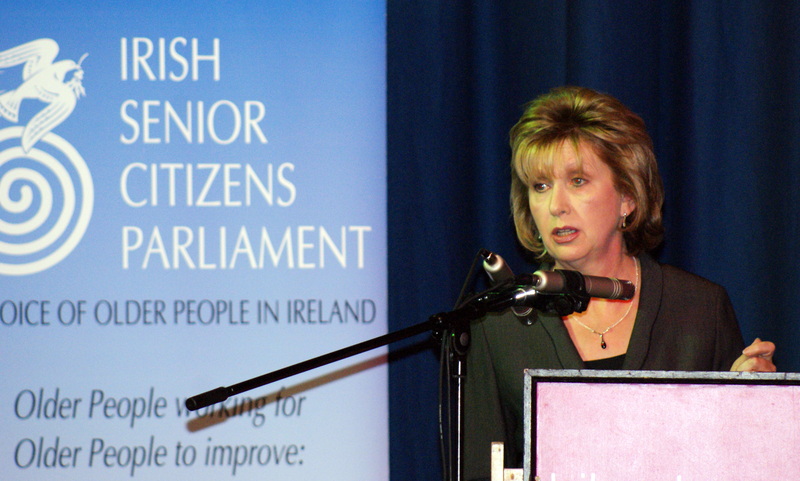 Two emergency Motions were passed at the Annual Parliament Meeting of the Irish Senior Citizens Parliament today. 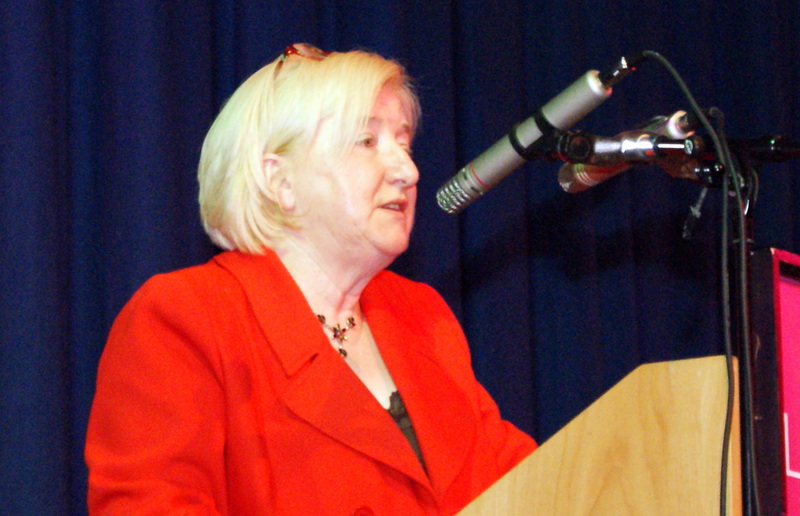 The first motion called on the Government to address without delay the current dispute in the public services due to the effect it was having on Older People in relation to pensions and other social and medical services. This motion was proposed by the Finglas Division of the ISCP and got full support from the delegates. Another motion was also passed demanding that medical card renewals for Older People be immediately extended for a period of two years as the HSE figures show that the vast majority of Older People qualify. This motion was passed unanimously and in the context of the backlog – running into thousands – in renewing medical cards. It was also proposed that all new medical cards should be for a three year period rather than the current two years.